LUBBOCK, Texas (September 28, 2018) – Five Texas farmers were recently chosen to serve in key advising positions for National Corn Growers Association (NCGA), bringing a Texan perspective to vital teams that guide programs carrying out the organization’s policies and priorities. NCGA relies on a strong group of farmer leaders for the organization to thrive and serve its purpose as a nationwide representation of one of the largest agricultural segments of the United States. Today, the NCGA Corn Board announced the members and leaders of its action teams, committees, and working groups for the 2019 fiscal year, which begins next month. Ring will be leading the Corn Productivity and Quality Action Team as its chairman. He is a longtime member of the committee, having played an integral role in the Aflatoxin Mitigation Center of Excellence’s progress, which is currently managed within the action team. Additionally, Spurlock, who is retiring from the NCGA Corn Board, will continue his leadership as the Co-Chairman for the 2019 Commodity Classic. 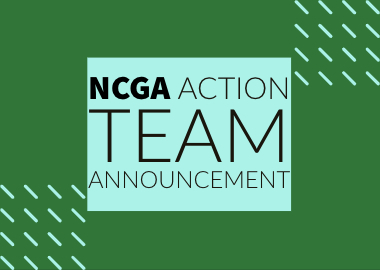 Access the complete list of NCGA action team and committee appointments HERE.